Working in the IT industry now for close to 20 years I’m starting to understand how IT culture fits together a lot better. There are two groups of people in Enterprise IT, the new guard and the old guard. The old guard are those who have been around in the organisation for (depends on the organisation) 2 to 3 years plus, they’ve seen a few projects come and go, they know who to speak to, they are the connection makers, which teams to speak to, which individuals make things happen, which don’t, who to avoid, what the processes are, how to get things done! The new guard are quite often contractors and come in with fresh new ideas, new ways of thinking, new ways to make the business move ahead, bring new technologies, generally they have the ability and knowledge and energy to make the organisation better. The issue with the new guard is they do not know who to speak to, the processes, generally how to make things happen to apply the knowledge to drive things forward. To receive the ultimate outcome of successful projects and moving things forwards you need to make a connection of the new guard and the old guard. If they work effectively together they will be able to deliver outcomes for the business, complete projects and everyone will be happy. In some circumstances the old guards feel threatened by the new guard because of their new increased knowledge levels they bring and it may show them up negativly, so the old guard and the new guard actually don’t want or don’t get on together, and this can create a bad and toxic environment. The old guard are typically permanent staff who have been with the company for a while on a salary income like to receive their bonuses and understand a comfort level within their role (I’m just doing my 9 to 5), and will probably be there for quite a few years yet. The new guard as mentioned before are contractors who are typically in either temporary backfill rolls or specific projects. In my current role that I’m just about to leave, I felt like I was moving into a old guard type role after a year and a half, I was connecting new guards that would come into the organisation to the right people to make them successful and deliver their outcomes. Previous to my current role I’ve always been a contractor so fall into the new guards category and I enjoyed the dynamic nature of trying to deliver with a challenge within large organisations working with the old guard. The moral of the story is, if you are a manager in an organisation and you’re bringing on new guys to deliver a outcome/project, make sure you empower them with solid and good connections with your existing knowledgeable long term staff. Anyway that’s my way of thinking what do you think? What’s your view? 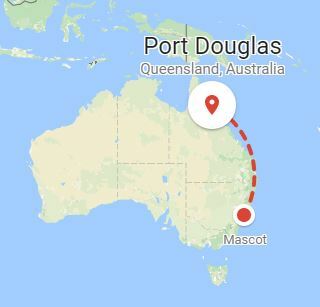 Our family trip to Port Douglas in far north Queensland, August 2017. This is the end of the Aussie winter, doesn’t look or feel like winter up there, 28 degrees every day. For non Aussie’s reading this, Port Douglas is up here: Zara’s boarding pass for her first ever aeroplane flight! Zara’s first ever flight looking out of the window, what a beautiful shot. We stayed at the 5 star ‘Thala Beach Nature Reserve‘ resort, 15 minutes south of Port Douglas . As soon as we arrived we went to the pool to relax. and went for a short walk, Zara LOVES to be in the baby carrier. This was our little wooden hut we stayed in. It had on the opposite side a balcony that was high up looking into the forest. Local Cocoa bean from what chocolate is made of. We drank Cocoa nectar which is made from pressing the flesh of the fruit, if you ever get to try it do! it’s delicious. On day 2 we visited a Port Douglas wildlife park, lots of birds to see! The birds were shrieking at Zara to go away and were biting her hand, but she didn’t care and kept touching them, haha. Next she went to harass the wallabies (smaller than a kangaroo). I like this shot even though they are not front lit, its a good silhouette shot. What a lovely break we had. If you’ve got young kids I’m sure your like me and always finding bits of toys have gone missing and most likely it’s under the sofa. 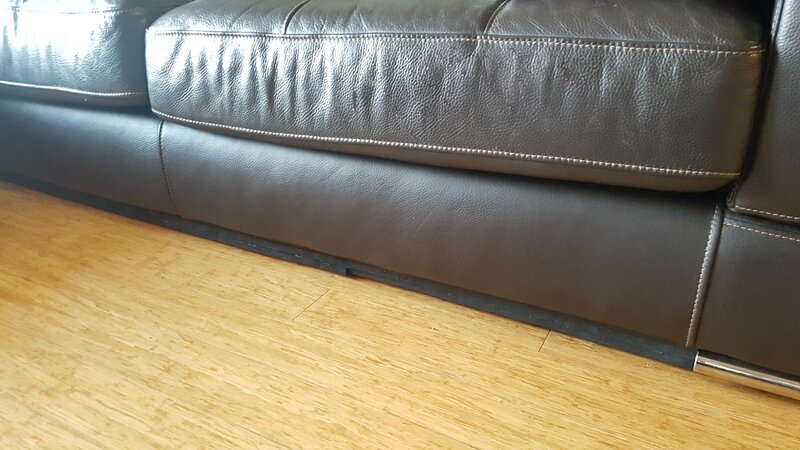 Most sofas have a gap at the front, great for small toy bits to get under and too small to get your hand in so you have to pull the bloody sofa out all the time. Time for mission ‘stop stuff going under the sofa’. 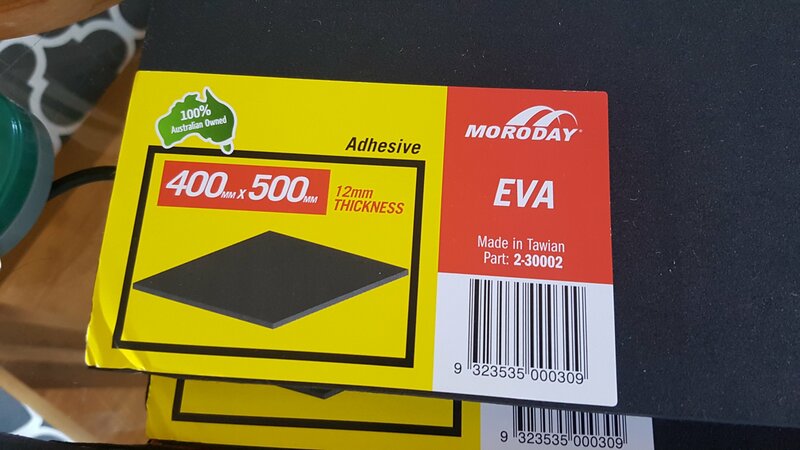 I found this sticky backed 12mm thick foam. 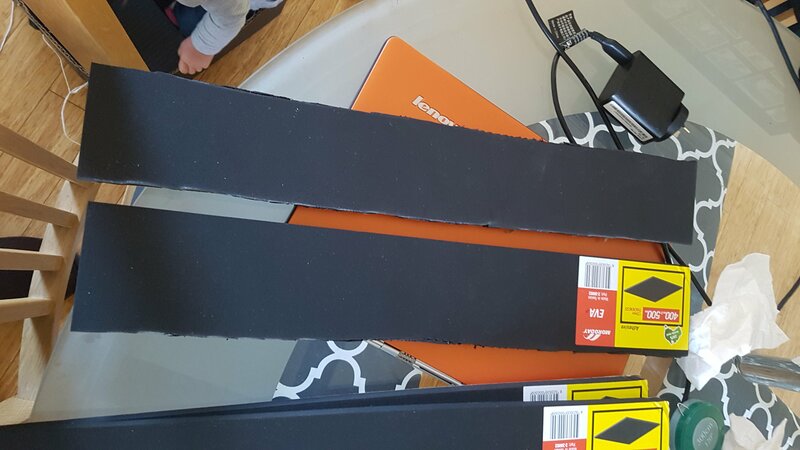 I measured the foam into 8cm strips. 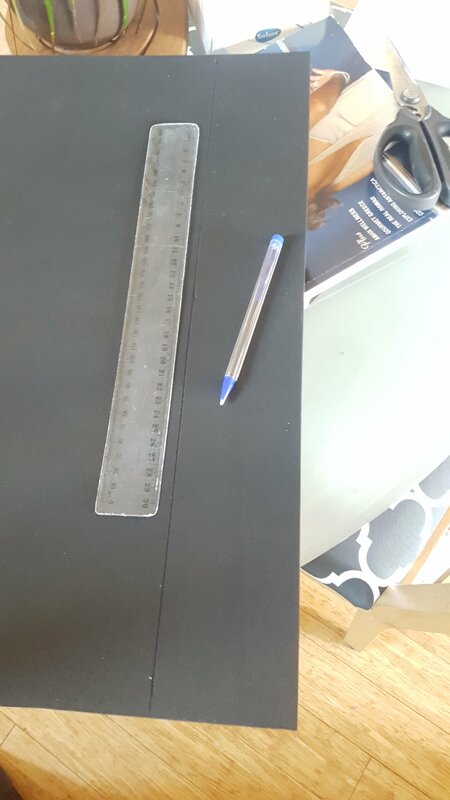 Cut them all to size. 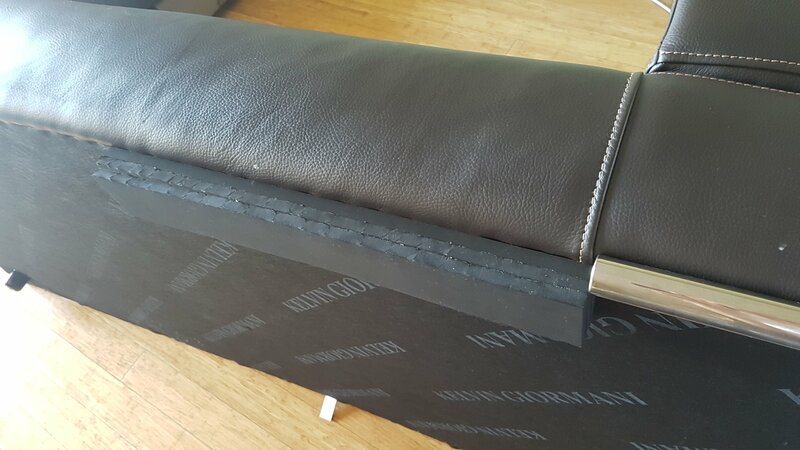 Peeled off the sticky backs and stuck 3 together at a time to make a 36mm tall block, and stuck them to the bottom of the sofa. Just a couple of cm’s back so you can’t notice them. End result with no more toys, bits, and popcorn (a always culprit) going under the sofa!